The electrocardiogram (ECG) is an affordable and well-studied biosignal, which has a wide presence in clinical research and practice, especially as a frontline diagnostic tool that measures the evolution of the electrical activity of the heart, with characteristic morphologies for atrial and ventricular activity, depending also on the position of recording. Time domain analysis of ECG includes: (a) preprocessing for quality characterization and improvement, (b) recognition of ECG waves, (c) analysis of ECG waves morphology, durations, amplitudes, as well as distances among waves, (d) variability analysis, as regards evolution in time. Numerous application areas are based on these analysis building blocks, with arrhythmia detection, and risk analysis among them. Analysis of the ECG signals in the time domain has been a continuous research field, although later complemented by frequency and time-frequency analysis This chapter aims to provide an overview of ECG analysis methods along with the main clinical application areas. 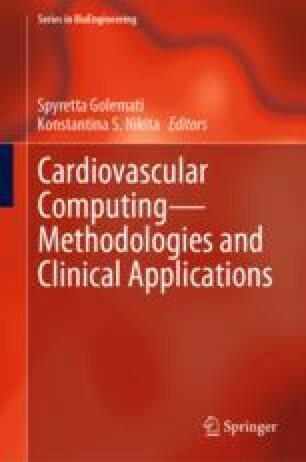 A description of the general characteristics and challenges of ECG in the time domain, is followed by summarizing the basic types of ECG analysis and reviewing analytics methods in the context of their clinical use. Finally, the current methods and future directions are discussed.